117. וּמִשּׁוּם שֶׁהַגְּבוּרוֹת הַלָּלוּ אֵין יוֹרְדוֹת אֶלָּא בַּעֲנָנִים, וְיוֹם הַמְעֻנָּן לֹא נָחָה רוּחָם שֶׁל עַמּוּדֵי הָעוֹלָם, רַק מִשּׁוּם שֶׁהָעוֹלָם צָרִיךְ אוֹתָם. מָה הַטַּעַם? מִשּׁוּם שֶׁהָעוֹלָם נִבְרָא בְּדִין, וְהַכֹּל כָּךְ צָרִיךְ. מִשּׁוּם כָּךְ הַכֹּל תָּלוּי בְּמַעֲשֶׂה. וְעַל כֵּן הַכֹּהֵן בַּמַּעֲשֶׂה וּבַתִּקּוּן שֶׁהוּא עוֹשֶׂה לְמַטָּה, מִתְעוֹרְרִים עֶלְיוֹנִים וְתַחְתּוֹנִים לְתַקֵּן אוֹתָם, וְהֵם מִתְתַּקְּנִים עַל יָדוֹ. On this day we complete the process started on Rosh Hashanah. The ‘verdict’ and the shape of the coming year is defined, written and about to be sealed and executed. The last opportunity to change is on the night of Hoshana Rabbah because just before the end of the morning prayer, the books are sealed and ‘broadcasted’ to all levels to execute the plan for each individual. The best way to close the last year and start a new one in a better way is to dwell in study all night. Read the entire book of Deuteronomy, the entire Idra Zuta and the book of Psalms and give Tzedakah if you didn’t give enough between Rosh Hashanah and Hoshana Rabba. Tzedakah saves from death! Deuteronomy is the last book of the Torah and represents Malchut and the ‘seal’ of the Torah. It also represents the manifestation of the blessings God gave us through Moses. The Idra Zuta connects us to the spiritual opening that is available on this night. Rabbi Nissim Peretz in righteous memory tells us that the secrets of father and mother revealed in the Idra Zuta are the aspect of the ‘seal’ at the night of Hoshana Rabba. 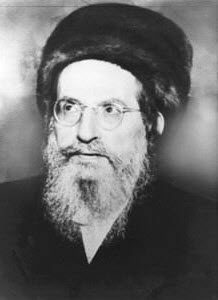 In Idra Zuta, Rabbi Shimon leaves the world and on his passing day 70 righteous souls opened a channel for him to ascend. His merits help us in sweetening the judgments that we may have in our life. Rabbi Shimon was also a student of Moses. Psalms is written by King David, who is the aspect of Malchut. He taught us humility and trusting YHVH in all of our actions. Psalms give us tremendous power of manifestation in the world we live in and because of that we read it only during daytime or after midnight. It’s better to start with Deuteronomy at night before midnight then continue with Idra Zuta and finish with Psalms. It’s a lot to read and we should do our best to connect and ‘taste’ from the three books as much as we can. The Zohar explains that the five Aravot (5 willow branches) that we hit on the ground in the morning have leaves in the shape of lips. This day is depends on the ‘lips’. On this day the ‘king’ orders to give the ‘notes’ (Pitka) to the appointee and the judgment process ends, and evil talk that started on Rosh Hashanah stops on this day. We start a new year, and the merits that we earned during the previous year and through the process that began 22 days ago begin to manifest in our lives. Remember that when we hit the five branches five times to the ground we ‘ground’ judgments and raise Chassadim. Each hit and branch corresponds to one of the final letters םןץףך. (They come after the 22 Hebrew letters that created the world). The םןץףך will turn all Chassadim in the Final redemption.